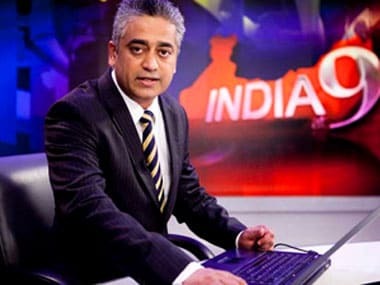 The Indian media fraternity stood behind Rajdeep Sardesai when reports of assaults on the senior journalist came in but in their emotional outpouring the truth probably got lost somewhere, believes blogger Sudhir. Freelance journalist Smita Sharma writes of her experience during Prime Minister Narendra Modi's address at New York's Madison Square Garden. 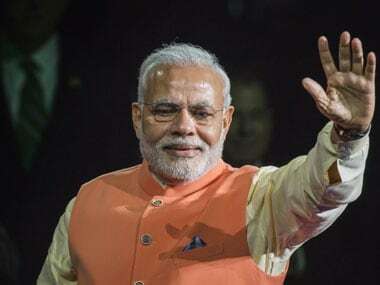 Prime Minister Narendra Modi, who is on a five day trip to the US, will address thousands of Indian Americans in New York's Madison Square Garden on Sunday. We cover the event live. For the first time, writing a joint editorial, the Indian Prime Minister and the American President said it was time to set a "new agenda" and with a reinvigorated level of ambition and greater confidence both the countries can go beyond modest and conventional goals. 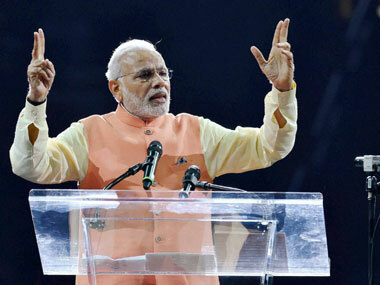 Narendra Modi's high-octane visit to New York was also a chance for the Indian American second generation to shine. 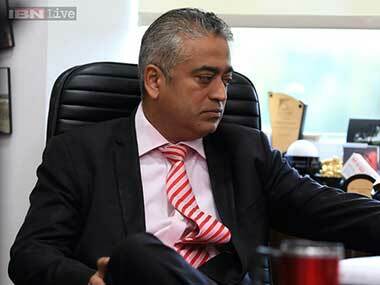 Leading TV anchor Rajdeep Sardesai was on Sunday roughed up apprently by pro-Modi supporters outside the Madison Square Garden, shortly before the Prime Minister's address. The Editors Guild condemned the attack on senior journalist Rajdeep Sardesai by a group claiming to be supporters of PM Modi in New York on Sunday. The ABCD Indian - the American Born Confused Desi is morphing into the American Born Confident Desi. 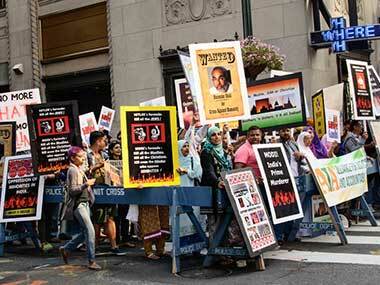 Modi's visit to US is a coming out party for them. 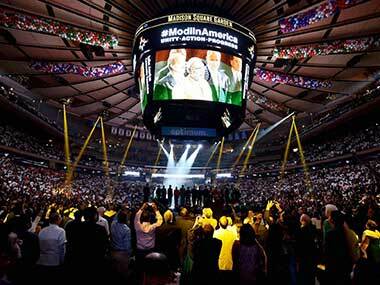 The audience at Madison Square Garden was eating out of Narendra Modi's hands. But what was interesting was how little the PM asked of them in return. We are a long way from Kennedy's exhortation of ask not what you your country can do for you, ask what you can do for your country.